In light of funding shortfalls on both the federal and local level, some Saskatchewanians are taking runway maintenance into their own hands. Most of Saskatchewan’s airports don’t see all that much traffic — less than 1,000 passengers per airport annually, in fact. But that doesn’t mean they’re not important. For many of the province’s more remote regions, these airports serve as their primary link to the outside world, supplying the critical supplies that allow these off-grid communities to thrive. However, given these airports’ relatively low rates of use, they typically don’t qualify for federal and provincial funding programs that would help pay for maintenance and repairs. The unfortunate result is that this critical infrastructure is now at the precipice of deteriorating to the point that it’s no longer usable. Local officials, pilots, and concerned citizens are now left looking for answers. Some are getting creative and looking to local volunteers to help with upkeep. But some infrastructural challenges — like runway maintenance — will require more sophisticated solutions. 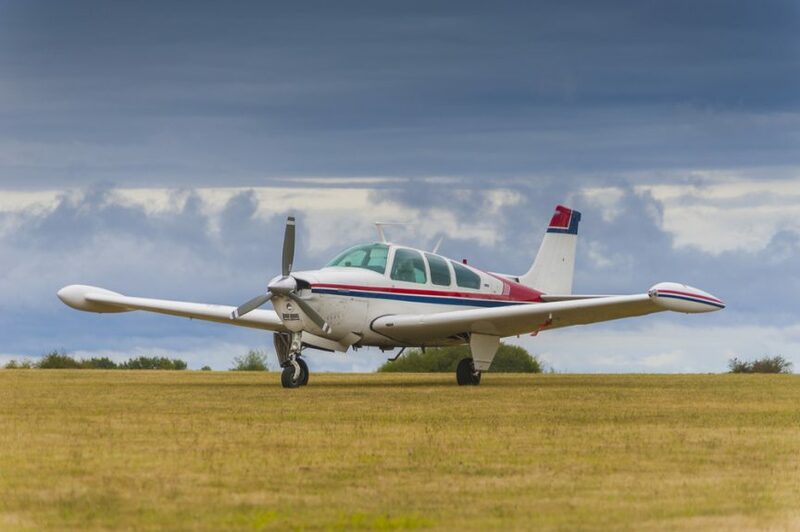 Two sources of provincial funding do exist, both of which are dedicated to funding in-need rural airports with federal dollar-for-dollar matching grants. But Saskatchewan’s Airport Capital Assistance Program (ACAP) has an annual budget of just $700,000, and upkeep and capital upgrades often cost much more. This is where the locals have stepped up — in a big way. An impact report from the Saskatchewan Aviation Council cited “volunteer labour from the local flying club” as one of the principal resources for day-to-day maintenance. One province to the east, Manitoba is also using volunteers for maintenance work. In one particularly inspiring instance at Saskatchewan’s Unity Aerodrome, a group of volunteers led by a local pilot jury-rigged a much needed upgrade by making runway lights from LEDs and mason jars. Yet when it comes to runway maintenance and repairs, household items and volunteers just won’t cut it. Of the Saskatchewan’s 148 runways, 42 are asphalt — many of which are crumbling and filled with potholes that require expensive crack sealing, and in some cases, complete resurfacing. Another 37 are gravel — the vast majority of which are untreated and thus liable to cause a litany of issues related to fugitive dust, including poor visibility and risks to the safety of airport workers and passengers. As Saskatchewan continues to search high and low for ways to improve the deteriorating condition of its runways, Midwest Industrial Supply, Inc. stands ready to help the province implement semi-permanent gravel runways in every remote area that needs one. Airports with untreated gravel runways, turf runways, or crumbling asphalt runways can keep their surfaces in tip-top shape with minimal cost and maintenance by leveraging this natural paving technology. Midwest Industrial Supply, Inc.’s semi-permanent gravel runways offer the performance characteristics of permanent pavement at a fraction of the cost. Using a complete system of synthetic fluid plus binder, our patented products EK35® and EnviroKleen® can work with all types of soils and aggregates, creating pavement-like strength that performs well at extreme temperatures without the need for frequent reapplication. Midwest’s innovative semi-permanent gravel runway systems can extend your gravel runway’s surface life by as much as 20 years! Additionally, they can reduce erosion by 98% while cutting lifecycle costs in half. If your village or township is looking for long-term solutions to the never-ending challenges associated with runway maintenance, consider investing in the first and only semi-permanent gravel runway from the leading innovators in soil stabilization and dust control.